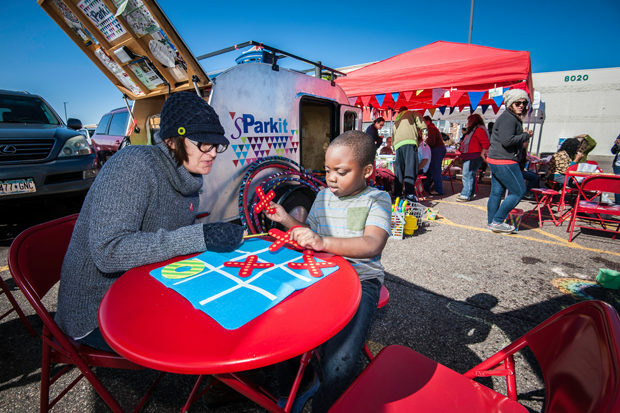 The City of Brooklyn Park, Minnesota, in collaboration with community groups, Hennepin County, Metro Transit and residents of Brooklyn Park, has been involved in placemaking efforts as a part of the planned Metro Transit Blue Line Light Rail Transit (LRT) extension planning process. Through these efforts, the partners are exploring ways to create culturally inclusive and inviting public spaces along the LRT route. 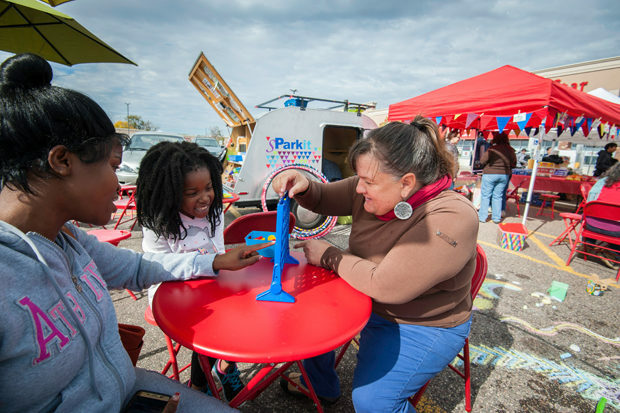 Through multiple meetings and community conversations, the partners believed there was an opportunity to explore a global market concept in Brooklyn Park. Through the same conversations it was decided that the Brooklyn Boulevard Station made the most sense for a market demonstration project. 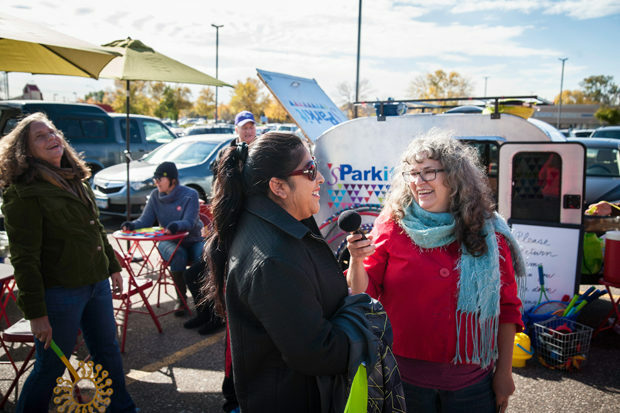 Dragon Star Foods, an immigrant owned business that primarily serves the Asian and African communities in Brooklyn Park, is already home to a well-attended farmers market. They are located at 8020 Brooklyn Boulevard, within walking distance of the future Brooklyn Boulevard LRT station. 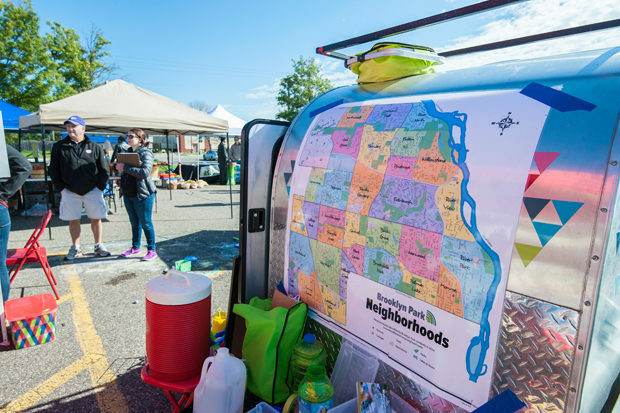 With support from community members, non-profit organizations, Hennepin County, Metro Transit, and the employees from Dragon Star, there was a natural opportunity to demonstrate what an enhanced global farmers market could look like in Brooklyn Park. 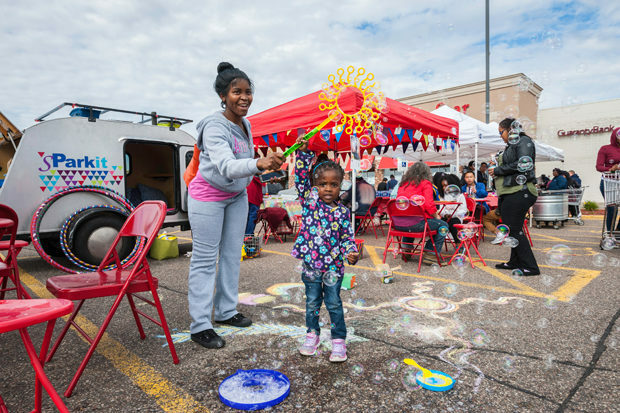 Dragon Star’s existing market is primarily for produce vendors but the City and community partners saw an opportunity to add a little fun. The City and Dragon Star partnered with artist Soozin Hirschmugl from Ready Go and her sPARKit! trailer to bring family friendly activities to the existing market in early October. Soozin’s history of working with diverse communities doing placemaking work made her a perfect fit for this project. The sPARKit! trailer was not only a pop of color and fun but also served a functional purpose. The neighborhood postcard activity encouraged people to engage with their neighbors through art while learning about the newly implemented neighborhood system in Brooklyn Park. Soozin also brought her audiocapture machine which allows users to record answers to questions. As a part of this project the City wanted to get an idea of challenges community members face when they travel through the station area. 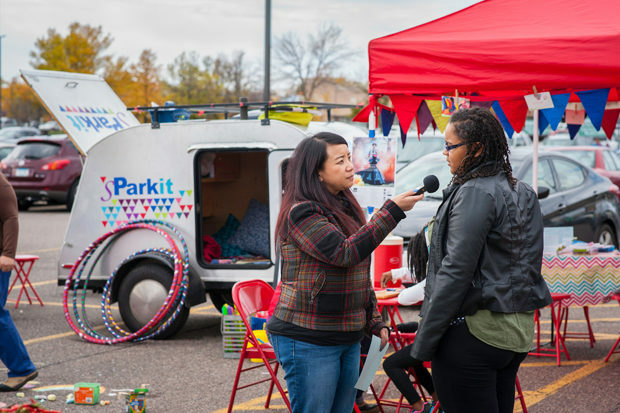 City staff hope to use the information gathered from those interviews to inform future projects in Brooklyn Park regarding pedestrian safety and connections. sPARKit! and Soozin offered a unique way to engage with the community that is different than anything the City has done before. 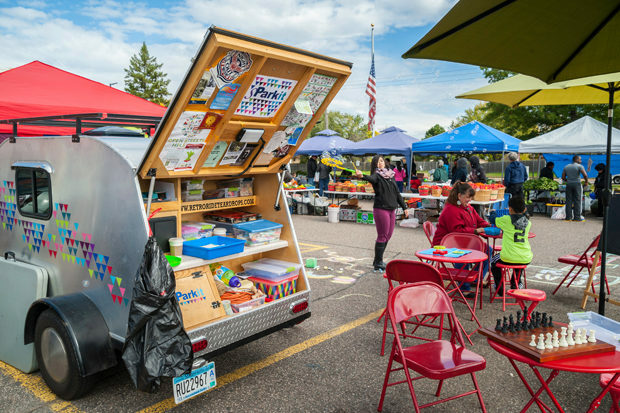 Her activities offered the opportunity for community members to experience the existing market in a new way while helping the City gather valuable stories from residents. At the end of the event the manager from Dragon Star Foods, as well as several of the vendors, asked when Soozin would be coming back to the market. This speaks to the positive impact that sPARKit! had at the market that day! We highly recommend working with Ready Go and look forward to partnering with them on future projects—their presence made a huge difference at our event!